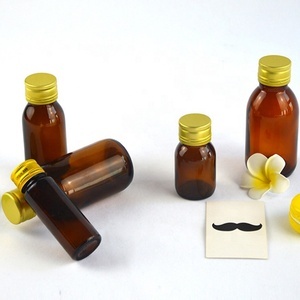 PP material with innoxious and flavourless, high and low temperature-resistant( it can be made into coffeepot ). Logo can be printed on surface of PP cap ( there are various of print technics ). 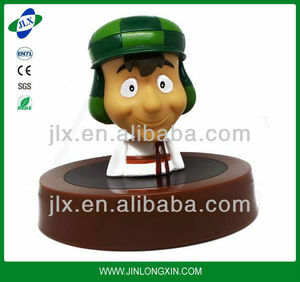 PP cap our made is white, its appearance looks like ceramic cap, with nobler quality of ceramic cap. 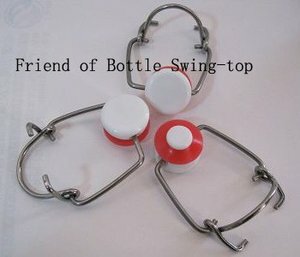 Linan Thousand Peak Glass Bottle Co., Ltd.
On the two sides of hold-circle, there is a small hole, which can match with spring wire. 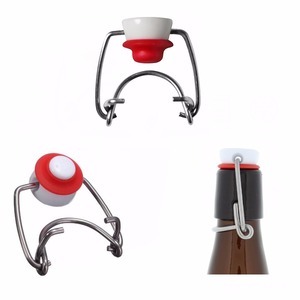 This procedure can be carried out when wine will sell installing in the factory. 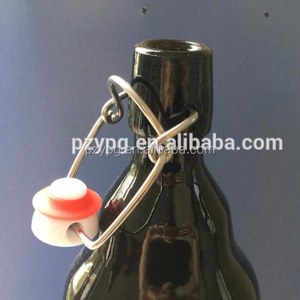 Because of adding hold-circle and carry-ring, making wine bottle more beautiful. 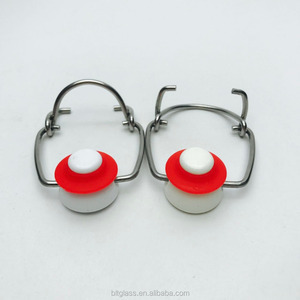 In short, we produced customized molds and products but we also provide our customers reverse engineering service. 2. How can I get the quote9 First, we need our customers provide their technical data like 2D, 3D drawings or samples. To know us more please contact us with your ideas / projects / drawings, so that we can start our studying / engineering job. 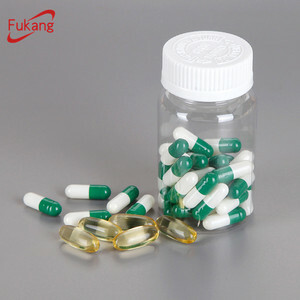 1300ml transparent plastic food jars bottle and PET container with screw top lids As a manufacturer,we can provide food grade PET bottles and jars,PET or HDPE medicine pills and capsules bottles with child resistant cap,normal screw cap,flip top cap or aluminum cap. We are sure we can provide good quality products to you with reasonable prices,the best service and finish your order on time. 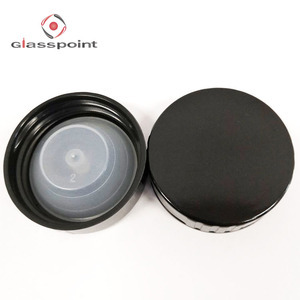 Plastic jar sample time 1 day for our existing,free samples F-1300D 1300ml 1300ml transparent plastic food jars bottle and PET container with screw top lids Contact us Click To Contact The Supplier!!! High quality german standard 5l bottle water filling machine What is details of our paging machine9 Item Detail Model C FL300D C FL300C C FL500 Convey speed 0&mdash;100M/min 0&mdash;50M/min 0&mdash;100M/min Size 1420mm * 520mm * 870mm 1420mm * 520m m* 870mm 2508mm * 720mm * 870mm Intelligent Counting Automatic Stop No No Yes Paging Way Friction type Minimum Width of Paging Goods 50mm Maximum Width of Paging Goods 300mm 500mm Voltage 220V Power 180W Type Standard Out package Wooden Case Package Size 1460*530*400 mm GW 38kg 36kg 40kg MOQ 1 Set Delivery Time (1) 1 day for our existing products. 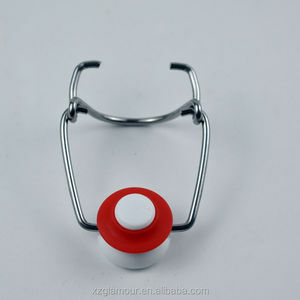 Shipment Ways by express(DHL,EMS,TNT,FEDEX), by sea, by air etc. 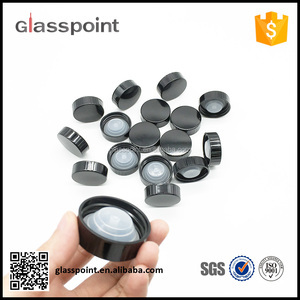 Payment Term T/T, Western Union, Paypal , Escrow etc Safety Standards (1)Can be complied with standard safety regulation for Europe market and North America market; (2)All materials meet EN71,PHTHALATE,CPSIA,SGS,ROHS,high Elasticity, Durable, Non-toxic Certification Available Yes Functions/Usage Paging machine for ink jet print Product Pictures Why Choose Us9 Related Products-Conveyor How to contact us 9 Send your Inquiry Details in the Below , Click " Send " Now !